March provided an incredible opportunity for the Striv Fam. Two state events, plus a statewide conference really kept us on our toes, but as a team, we took the month head on. As your hosts, we were presented an incredible opportunity to speak at the aforementioned statewide conference, otherwise known as NETA. For this week’s podcast, we wanted to share that presentation with you. Sharing your student’s story is something that we’ve always been passionate about at Striv. We believe that student’s work, even in middle school or high school, has the opportunity to propel them into future success. Which is why we are passionate about this week’s podcast. 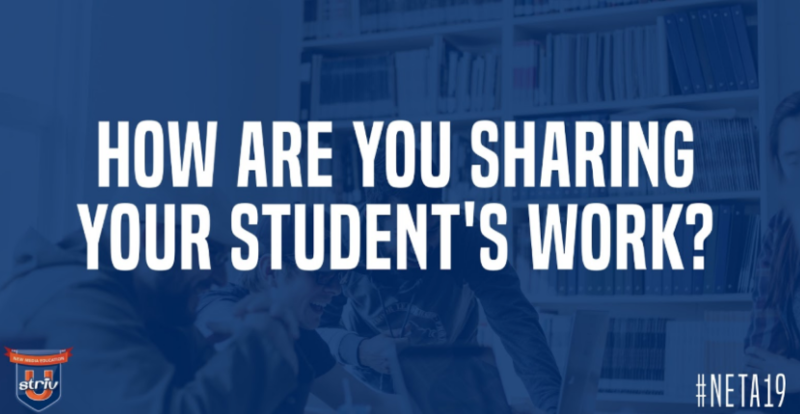 We talk about what it means to share your student’s story, how you can share it, and tangible pieces of content that we’ve created in an effort to fulfill our mantra. We had a blast presenting, and even more fun getting the chance to record it.